Proposition 2 supporters are demanding that the legislature follow the “will of the people” and allocate funding for the initiative. This raises the question of which people’s will should they follow; the ones who elected them or the ones who didn’t? 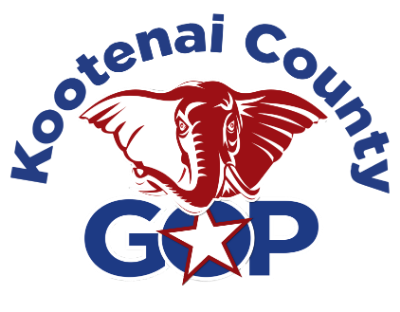 In Kootenai County only 34% of Republican voters supported Proposition 2 in the last general election. The state wide average number rises to only 45% of Republican support. Why is this important? In a perfect world our representatives would represent all the people in their districts. In reality they would be foolish to ignore the mandate from the very people who put them in office. In practice this is exactly what we see. Democrats voting to support democrat issues and Republicans voting to support republican issues. No surprise there. How do we know that only 34% of Republican voters supported Prop 2? The key is understanding how Idaho’s second largest political party, independents, split for Proposition 2. To do that we look at the governor’s race. It is safe to assume that 95% of Democrats voted for Jordan and 95% of Republicans voted for Little. In order to reach the known vote total, 37% of unaffiliated voters would have voted for Little and 63% would have voted for Jordan. It is safe to assume that the independents who voted for Jordan also voted for Prop 2. It is also safe to assume that 95% of Democrats voted to pass Prop 2. All we need is a little math to discover what percentage of Republicans voted to pass Prop 2. In Kootenai County, where Prop 2 passed by less than 1%, Republican support was less than 34%. State wide Prop 2 passed by a wider margin but it failed to get a plurality of support with only 45% of Republicans on average. Your Property Rights Are About To Change!